With the explosion of distance education and the adoption of hybrid or blended instruction, institutions of higher education have begun to depend much more heavily on virtual learning environments. An emerging concern is the effect on the quality of education of this increased use of virtual environments. A challenging aspect for the design of online environments for computer-supported collaborative learning is the development and maintenance of the sense of presence. Design elements and implementation practices can facilitate or hinder this development. The changes in the landscape of higher education, increase in online offerings, nature of next generation learners and advancements in technology have converged to elevate the importance of the design of online learning environments for collaborative learning in higher education. Simultaneously, a new genre of virtual environments has emerged, designed for entertainment, personal expression, commerce and social interaction. Open-ended socially-oriented virtual worlds such as Second Life offer a wide range of new capabilities, balanced against the challenges that use of such worlds bring. Research indicates the importance of the sense of presence for computer-supported collaborative learning. To realize the potential of virtual worlds for learning we need to understand the implications of design on the emergence of the sense of presence. Although adoption of the use of virtual worlds is increasing in higher education, absent a theory-based set of guidelines, most learning environment designers are not capitalizing effectively on the potential of these new virtual worlds. 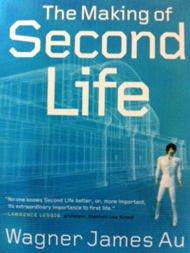 As one commentator noted, “We are like gods without a manual in Second Life” (J. B. Rhoads, personal communication, June 4, 2007). A theory-based and validated set of guidelines for virtual world design would be helpful in creating customized learning environments (for higher education students) that invite the emergence of the sense of presence, and I developed a matrix with nine design principles, and how each could be instantiated with regard to the sense of place, social presence, individual agency, and community agency through mediated collaboration.